Clemancy for Stanley “Tookie” William? Comments Off on Clemancy for Stanley “Tookie” William? 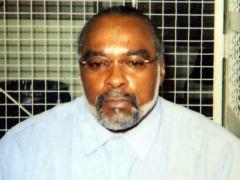 The push is on to try to get the death sentence commuted for Stanley Tookie Williams. In addition to the usual bleeding heart Liberals and small group of misguided but well meaning Roman Catholics, opponents of the death penalty have some new allies from the Right of the political spectrum. There are not many but there are some. Locally Craig DeLuz and Andy Nevis a.k.a. California High School Conservative are among those calling for Tookie to be saved. He will certainly do more good alive than dead. If he is allowed to live, he can continue his work against gangs and violence. As Abraham Lincoln said when pardoning a deserter in the Civil War, He will be of more use above ground than below it. The power of clemency was given to the Governor for just an instance like this. Its time for the Governor to use that power. This is a good summary of the views of many of the save Tookie advocates. The fact is that Tookie is a convicted cold blooded murderer. He has exhausted every judicial appear available to him. There is no one saying that Tookie is innocent. There is no new or mitigating evidence of the crimes for which he has been convicted. The real issue is can ones good works after conviction be used to mitigate their sentence. It is said that Tookie gave his life to God and has purposed to make amends for his crime. Had Mr. Williams committed property crimes and worked to repay those that were victims of his crime most people would agree that there would be grounds to modify his remaining sentence. However, when we look at the case of murder does the same principle apply? For Christians that follow the teaching of Scripture the answer is a clear. In any crime there are actually two victims; the primary victim of any crime is God, the secondary victim is the person that was acted upon by the criminal. In the case of murder, man cannot kill God but he can kill an image bearer of God. A murder is attacking God by destroying someone created in His image. From Genesis to Revelation, murder is always a crime. This includes abortion, infanticide, euthanasia, homicide and any other act of murder. The Biblical punishment is always the same: restitution. If you take another’s life, then you forfeit your own. In the Bible only government can put someone to death. The Church is given an even more awesome power, the power of spiritual life and death. Spiritual life is the goal of evangelism but excommunication is the declaration of spiritual death. Only repentance can move one from death to life. I think both Craig DeLuz and Andy Nevis have confused these two. They seem to believe that evidence of spiritual regeneration is grounds for the civil government to move Tookie from death to life. Sorry fellas. If Stanley Tookie Williams has undergone a spiritual renewal and given his life to Jesus Christ then that is great. He will be in heaven when he is executed and not another gang banger in Hell. Spiritual conversion is not grounds for clemency from the Governor. If Stanley has truly repented then he knows that he owes restitution to God and his victims. The only restitution that can make things right is forfeiting his life. In this way Stanley could truly do more good in death than in life.